In case you haven't noticed, I've been digging up and exploring my artful roots. As a result, a few folks have asked if I teach online or do workshops and while I'm no expert, I thought it would be fun to pass along some of the things that I have learned along the way. Therefore, today is the beginning of a new (sometimes) series called Watercolor Painting 101. We're going to begin with what you may think of as elementary (it is) or even insulting, but read on! There's a very good reason that this foundational information is necessary. In fact, these basic steps are so important that they will stay with you no matter how advanced you become and provide you with a spectacular rainbow of possibilities. • The Color Wheel - The three basic primary colors are red, yellow, and blue and they're considered primary because they cannot be formed by combining any other colors. From these three colors you can create any color you wish. Of course, you can go out and purchase all of the beautiful shades of the rainbow (and there are some very important shades to purchase!) but by beginning with the basics, you'll have a deeper understanding of how colors work together. 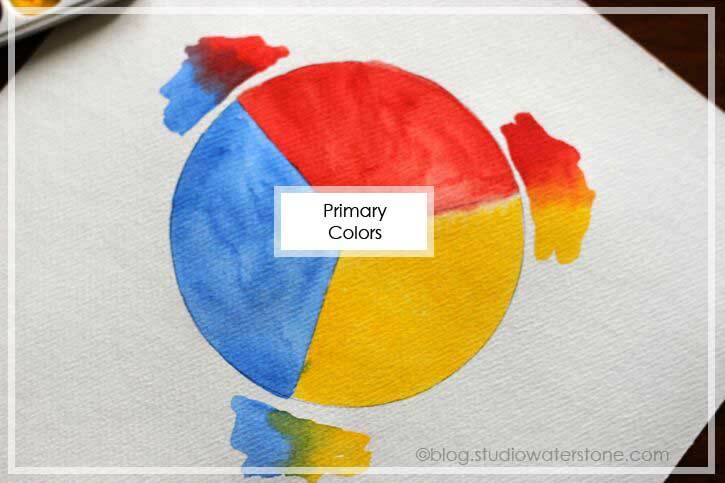 •The "primary colors" image above shows you the most basic color wheel. • Complimentary colors are colors which are opposite one another on the color wheel. Example: red and green, blue and orange, yellow and purple. 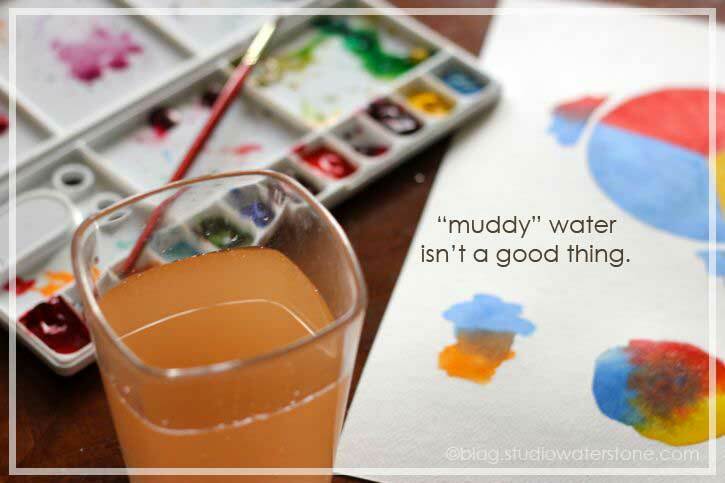 Takeaway Tip #2: Be sure to change out your brush water often to avoid "muddy" colors. Using watercolor paper, draw a circle (I used a container top to trace mine) and divide the circle into 12 equal parts. Paint your primary colors, equally spaced with three spaces in between. In the middle of those, paint your secondary colors and finally, between your primary and secondary colors paint your tertiary colors. Label your color wheel once the paints have dried. 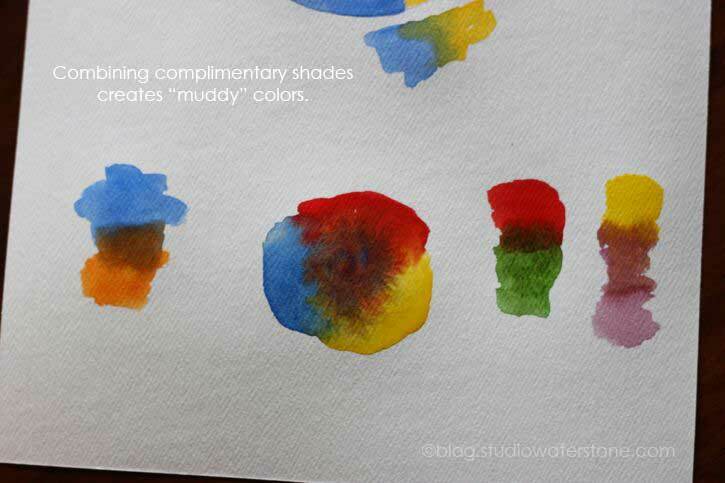 Additionally, feel free to combine a few complimentary colors to create "muddy" colors. I hope you enjoy this activity. You'll be surprised at how freeing a detailed assignment can be when staring at a blank sheet of paper! Be sure to come back to this post and link up with your exercise in color so that everyone can see your work. Interesting post. Though I understand what you are teaching now, I will follow because I am sure I will learn something new! Such a fun post! I love the photos! Lori, I'm so excited about Painting 101!! I've never had a painting class and basically wing it when i'm painting something, so count me in as one of your students!! I'm getting my jar of water and brushes! Perhaps a paper prep would be useful too? Great idea. Back in college, watercolor was my favorite medium. I can't wait to get back to watercolor painting. I love this! Getting back to basics is a perfect start. I haven't picked up water colors in 2 decades. This is perfect and thank you so much. Oh, this is just a perfect activity for today! ::running for paints and paper and water and brushes:: Thank you Lori! Too much on my plate at the moment but I will surely keep tuned! What a great idea!! This is such a great idea! I came over following a link on Sally Russick's blog, and I think I will be tuning in for more! I just bought my own paint and paper, so that I would not be using up my daughter's. 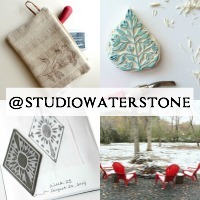 Just like Beti, I also followed the link from Sally Russick's blog and will be purchasing some supplies to join along! I have been wanting to learn how to use watercolors for a long time. Thank you for passing this along to us! Hi Lori! 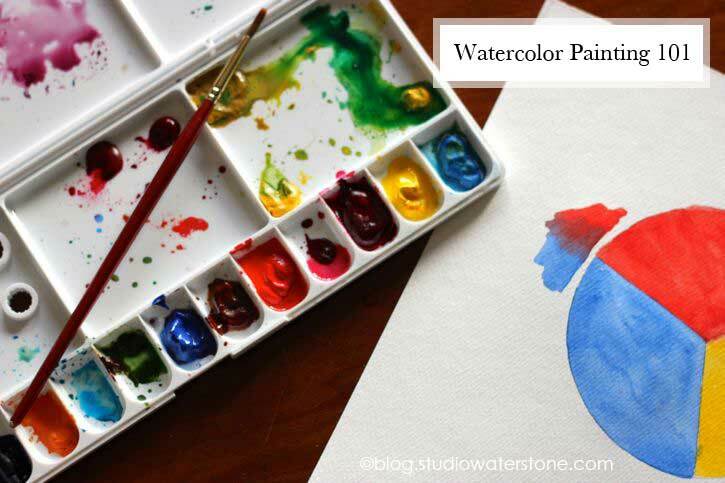 I'm very excited to find your wonderful blog and especially your watercolor lessons! I just picked up a brush in December to learn beginning watercolors (any kind of painting!!) from a friend. We met twice so far and both times I did the very same exercises you are showing here. It must be serendipitous. If you will permit me, I would like to share a link to my color wheel and jump in. I'll be following along. I look forward to learning!